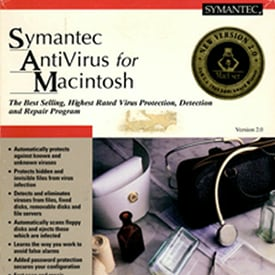 In the United States, Symantec was one of the earliest tech companies to fight against these computer viruses. The company was founded in 1982 by Gary Hendrix, a pioneer in natural-language database technology, and expanded into utility programs and database systems with features designed to be easy for people without advanced computer training to use. Q&A was Symantec’s first big success, with impressive sales and an extensive list of retail sales contacts. However, the growing company realized it couldn’t sustain growth with one major product. Symantec soon launched a strategy of buying existing products and companies to deliver the best solutions to its customers quickly. By the end of 1988, Symantec had expanded its portfolio to 20 products, many of which were utilities. But with competition increasing, Symantec decided to focus on an as-yet undeveloped market that could also protect its customer base: antivirus software. The Melissa email virus, the fastest-spreading infectious program at that time, drew international attention as each infected computer emailed the virus to the accounts of 50 contacts. When thousands of people turned to Symantec for answers, it became clear that the company had established a reputation for being an industry leader in security. And both LiveUpdate and Norton AntiVirus delivered solutions to combat the virus. In the aftermath of Melissa, Symantec realized the critical importance of its antivirus business and continued to add to its antivirus intellectual property. These technologies and the vast assemblage of global intelligence gathering networks are what form the core of the Norton consumer security products today and continue to protect our digital explorers from online threats.